Blurb Description: 1971. The USSR-backed India-Mukti Bahini alliance is on the brink of war against the America-aided Pakistani forces. 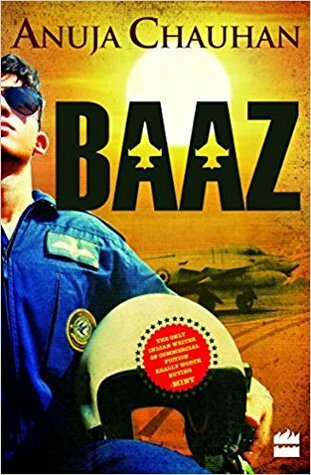 As the Cold War threatens to turn red hot, handsome, laughing Ishaan Faujdaar, a farm boy from Chakkahera, Haryana, is elated to be in the IAF, flying the Gnat, a tiny fighter plane nicknamed ‘Sabre Slayer’ for the devastation it has wrecked in the ranks of Pakistan’s F-86 Sabre Squadrons. Pulsating with love, laughter and courage, Baaz is Anuja Chauhan's tribute to our men in uniform. 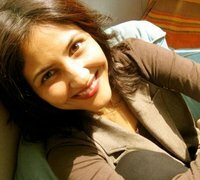 Anuja Chauhan is one of the ONLY Indian writers whose career in writing I follow religiously and read her books as soon as she writes them. Chauhan manages to capture the essence of India in all its glory, gets her humour and chemistry on point and throws all her characters into such unique settings. In fact, there’s nothing I don’t love about her books. 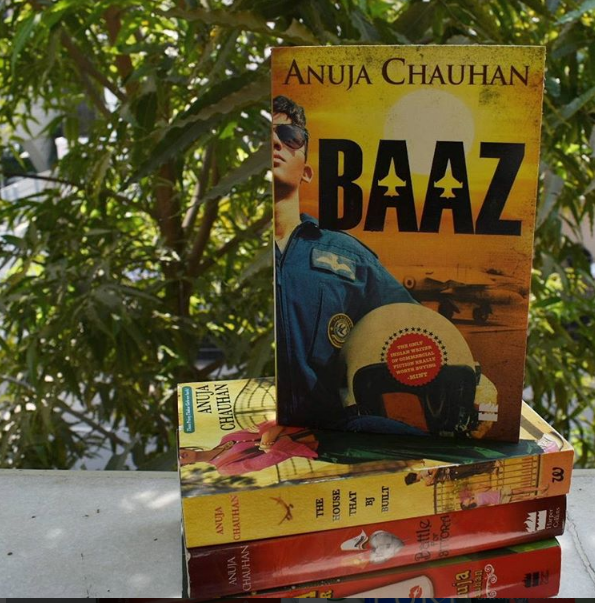 And so when my sister told me that she was releasing a new book, I compulsively stalked Anuja Chauhan’s twitter to wait and see what this book would be all about and when I could get my hands on it. Baaz did not disappoint. In fact, the fact that this was centred on a boy made it all the more fun, especially since Anuja’s last two books had a huge smattering of girls, filling it to the brim. 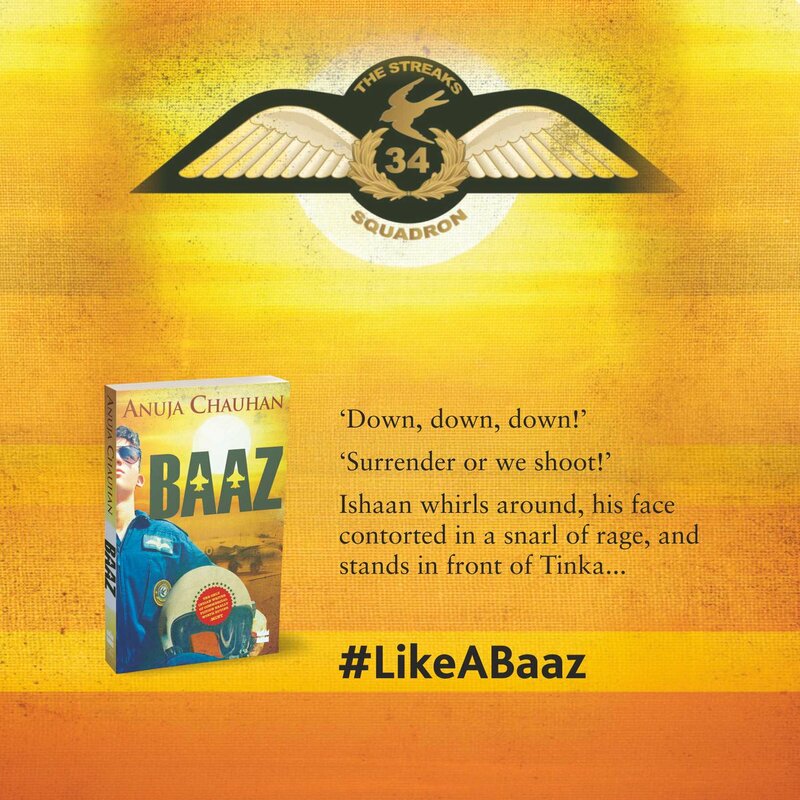 As I laughed, prayed for my three mains in the Indian Air Force and took this journey with them, I was only reassured of my love for Anuja’s books and writing. 1. I loved the banter. I loved all three of our main pilots – Maddy, Raka and Ishaan but more than anything, I loved the camaraderie they had between them, their jokes and their backstory. 2. I love the way Anuja writes – in English, but an Indianized version of English showing off the Hindi and the way some native language speakers alter the language. More than the actual descriptions, this creates that authentic Indian atmosphere I’ve spent my whole life in. 3. Her writing style is so unique. It’s all told in third person, but in the midst of a chapter the viewpoint will chance from one person to another just to give you a deeper insight into the minds of all her complicated characters. It’s so different from what I’m used to and I love it. 4. I feel like I should mention the names and nicknames in the book. Each of them is so perfectly crafted (Carva-lho) (Sorry non Hindi people) and makes me laugh the minute their name and personality is connected to some sort of joke, reference or nickname. 5. I haven’t read many military books before, but everything about the war, the strategy and the piloting manoeuvres were described enough to make me understand and yet didn’t bore me even a little. 6. The only reason I’m taking a star off this book is because that ending was so Bollywood and Filmy that it made me cringe. As did the whole cast being moved to Dacca. I honestly just wish it was edited out. This book is just one more masterpiece doled out by the top fiction writer in India, who will permanently reside on the top of my auto buy author list. A truly spectacular insight into India, War, Love, Feminism, Patriotism and Family in the 1970s. Where are you from? What languages do you speak in? Who are some of the authors on your auto-buy list? Have you read any great fictional book set in times of war? Give me your recommendations!